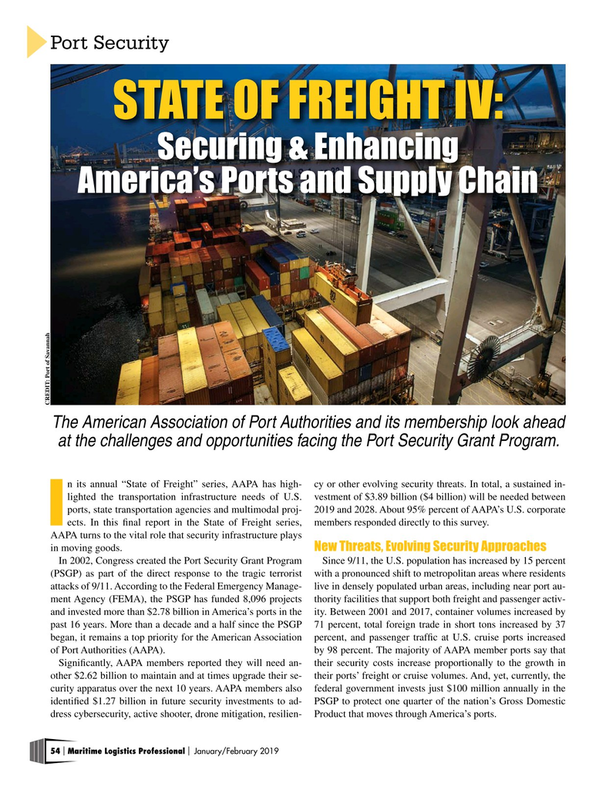 The American Association of Port Authorities and its membership look ahead at the challenges and opportunities facing the Port Security Grant Program. I ects. In this fnal report in the State of Freight series, members responded directly to this survey. New Threats, Evolving Security Approaches in moving goods.